This is a beautiful dressing table mirror that would make your dressing table. 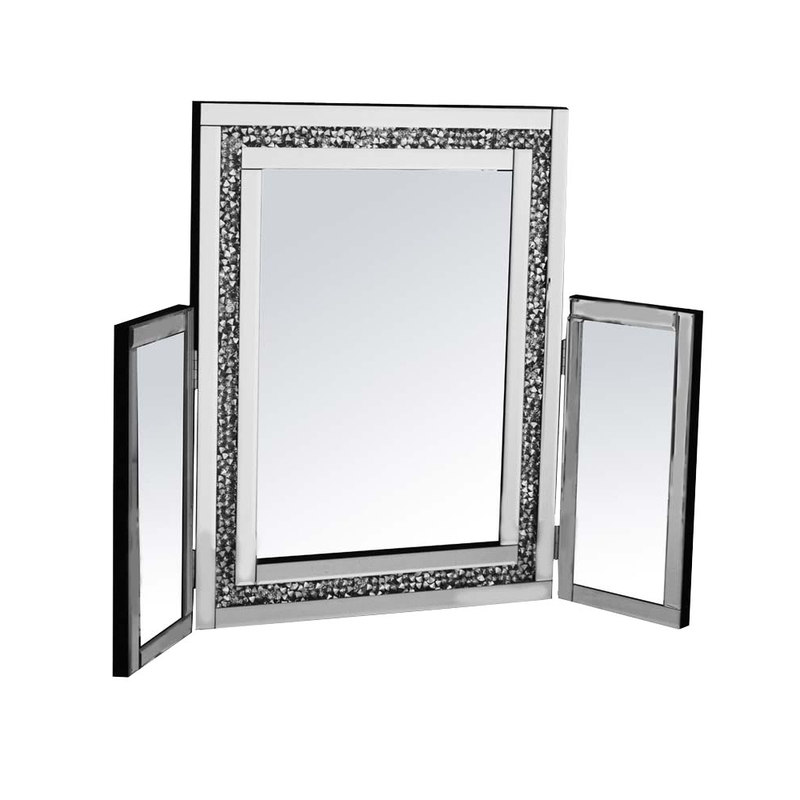 It is a cute 4mm silver mirror with 5mm bevelled edges and is mounted on MDF frame. The backing of the table mirror is finished with black felt. This is a stunning mirror that would give your home more of a modern feel. This mirror is part of the Gatsby collection.